Marcus Rashford is on fire, scoring for fun having been trusted to play regularly in his preferred position as a central striker. And we are finally seeing the real Paul Pogba, freed from his shackles and impacting games with crucials goals and assists week after week. 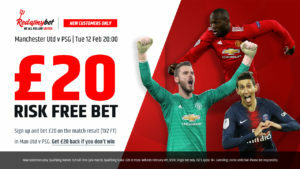 Just two examples of the fine work being done by Ole Gunnar Solskjaer since his appointment as caretaker manager at Manchester United following Jose Mourinho’s sacking in December, a period which has brought eight wins and a draw from nine games. But these aren’t the only success stories of Solskjaer’s time in charge of United so far. One of the biggest and most important is going somewhat under the radar. Ander Herrera has been outstanding for the Red Devils of late and his understated work in midfield is helping provide a platform for the likes of Pogba and Rashford to thrive. Just a few short months ago, with his contract set to expire at the end of the season, few United fans would have mourned Herrera’s departure were he to leave Old Trafford in the summer. Under Mourinho, Herrera’s role was largely one of stifling the opposition, man-marking dangerous opponents, being tactically disciplined and making himself a nuisance with niggling fouls to break up play. 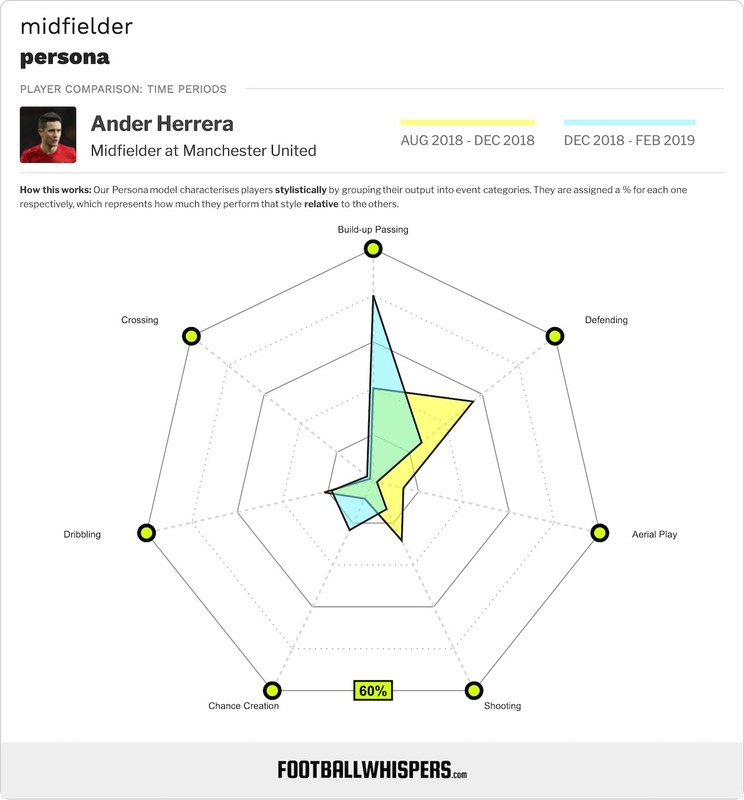 There wasn’t a lot of football in Herrera’s game. Under Solskjaer, however, we have been reminded that, when given the chance, the 29-year-old Spain international is a midfielder of real class; a fine passer, a combative tackler and someone capable of orchestrating play from deep. The change in Herrera post-Mourinho was instant, too. In Solskjaer’s first game in charge, away to Cardiff City, the former Athletic Club man got himself on the scoresheet when his speculative long-range effort was deflected in. It was a goal that relied heavily on luck, but the fact Herrera was getting forward and making things happen was evidence of a cultural and philosophical shift under the new boss. The fact that, alongside central-midfield partner Nemanja Matic, Herrera is responsible for the bulk of United’s build-up play through the middle third has meant Pogba hasn’t had to come deep to look for the ball as often as before, allowing the flamboyant Frenchman to focus on what he does best – creating and scoring goals. Since Solskjaer took charge, Herrera is seeing much more of the ball, making 68.09 passes per 90 minutes compared to just 54.49 for the season up until Mourinho’s sacking. He is also more creative now, with his average for open-play key passes per 90 rising from 0.66 to 0.79. And his renewed confidence is evidenced by the fact he is now completing 0.95 take-ons per 90, compared to just 0.16 before, as the Spaniard now appears to trust himself to dribble through pressure. It has been reported that Herrera is keen to stay at the club and that contract negotiations are ongoing. Now that he is shining under Solskjaer, United fans will be hoping Herrera sticks around.